Download the file GiD-xxxxxx-Install.dmg. 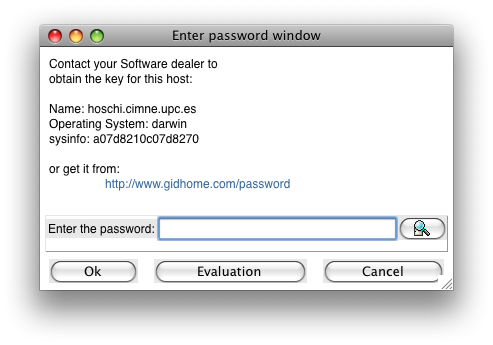 From the page: www.gidhome.com/download/developer-versions/mac-os-x selecting your version of macOS version. The file is usually saved in your Downloads folder. A dmg file is a disk image, a kind of virtual disk. Double click on the dmg file. The image is mounted as a new volume on your desk top. 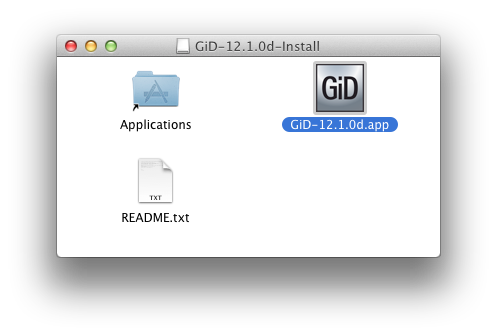 To install GiD in your Applications folder just drag and drop the GiD.app into the Applications alias. 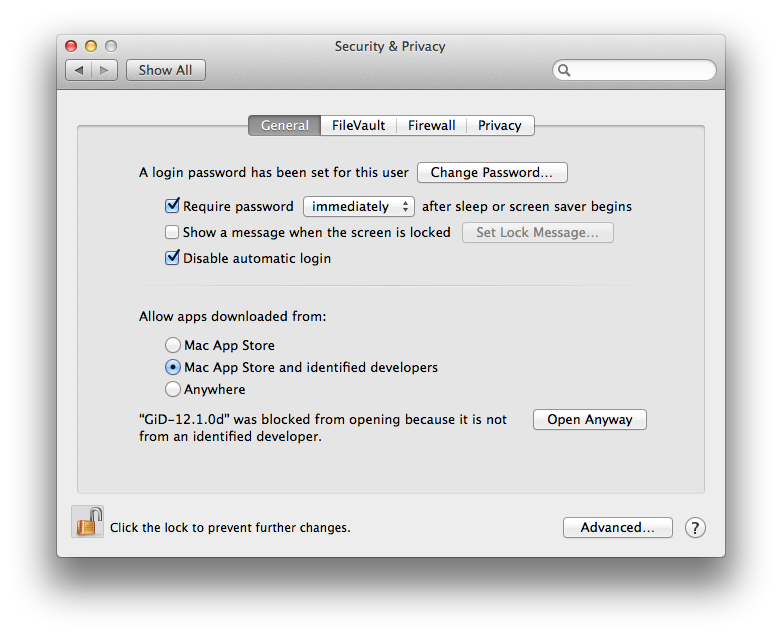 Then go to the System Preferences –> Security & Privacy You will find, under the ‘Allow applications downloaded from:’ label, an entry with the text “GiD.app” has been blocked from opening and a ‘Open anyway’ button. Just press this button ( after unlocking the panel) and close it. Another possibility is to check the ‘Anywhere’ entry. After the installation has completed successfully, you can unmount the volume. Either drag it to the Trash or right-click the volume and choose Eject from the contextual menu. If you don’t, the disk image is automatically unmounted when you reboot.